Every Sunday, Lighthouse Baptist Church is filled with excitement! Our main service times are at 11:00 AM and 6:00 PM. Both of these services contain inspiring music and life-changing Bible preaching. 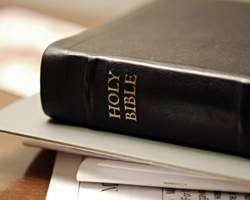 Every Sunday morning, we have Bible classes for every age. From toddlers to our senior saints, we all gather around our textbook, the King James Bible, and seek to gain truths from God’s Word that will help us in our daily lives. To learn more about our Sunday School ministry, please click here. Through solid, practical Bible preaching, lives are changed and people are both encouraged and challenged. Christ-honoring music is also an important part of every service here at Lighthouse. Every Wednesday night, LBC holds a Bible study in the main auditorium. Practical Bible teaching helps us have the tools we need to live for Christ in our daily lives, and uplifting music provides blessing and encouragement during this mid-week service. Our teenagers meet at 6:15 PM for practical Bible teaching and fun activities. After the Bible study, practices for both our Children’s Choir and our Teen Choir are held. We offer free, first-class nurseries for all of our services. If you would like more information regarding our Nursery ministry, please click here.